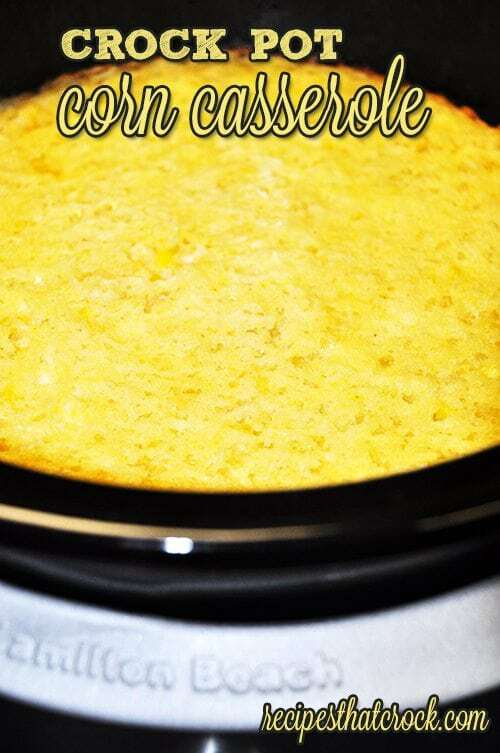 Crock Pot Corn Casserole - Recipes That Crock! Do you love a good corn casserole (corn pudding or spoon bread)? 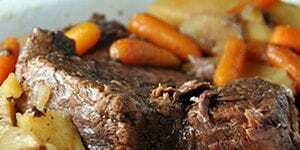 Or are you looking for a fantastic side to bring to Thanksgiving or Christmas dinner? This Crock Pot Corn Casserole recipe is phenomenal… and as someone who is VERY serious about her corn casseroles, that says a lot! I have made corn casserole in one form or another for every holiday meal for as long as I can remember. I absolutely love it. I can remember the first time I ever had it at a church potluck and I went to my mom and told her we HAD to have the recipe. 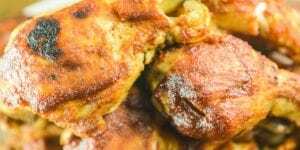 Many folks call it everything from corn pudding to spoon bread and as many names as it may have, there are at least twice as many ways to make it… some good, and some not so good. UPDATE#1: Mikey has made you a video of this family favorite! UPDATE #2: Aunt Lou and I held a Corn Casserole Cook-Off to see which recipes our kids preferred for the holidays. 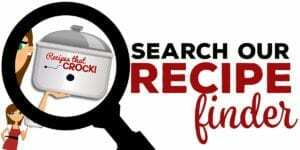 This Crock Pot Corn Casserole recipe– found in Gooseberry Patch’s Slow Cooking All Year ‘Round (titled Creamy Corn Pudding by Diane Tibbott)– is hands down the best corn casserole this spoon bread connoisseur has ever had. 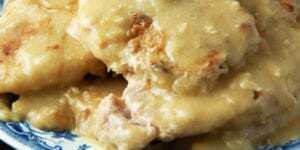 It is creamy–velvety even– holds a great flavor AND it is made in a slow cooker! My family flipped over it and I will be bringing it to Thanksgiving this year. There are two notes I want to make on this recipe. First, if crock pot liners are your thing, this is a recipe you might want to use them with. I didn’t this time and I have had to use quite a bit of elbow grease to scrub it clean. If they aren’t your thing, just make sure you spray your crock well with cooking spray to reduce the stuck on scrubbing afterward. Secondly, this recipe is NOT a fix it and forget it dish. The recipe calls for it to cook 3-4 hours on high. My slow cooker cooked it up in a little over 2 hours. It really depends on how your slow cooker cooks. One way I help my slow cooker cook more evenly is the same trick folks use in the oven all the time… I turn my pot like you would turn your pan in the oven. 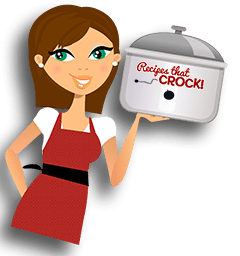 I rotate my crock inside my slow cooker throughout cooking to help it cook nice and even. This is a cinch to do in my 4 quart round bowl from my 3-in-1 Slow Cooker. You can do it in oval slow cookers too, just not as precisely. This recipe is from Gooseberry Patch’s Slow Cooking All Year ‘Round. I highly recommend this cookbook. It is one of my favorites. 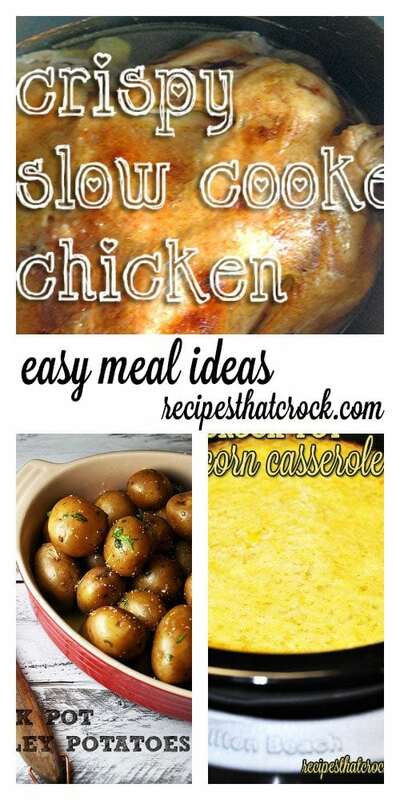 Try this Crock Pot Corn Casserole with Crispy Slow Cooker Chicken and Crock Pot Parsley Potatoes for an easy and delicious meal! 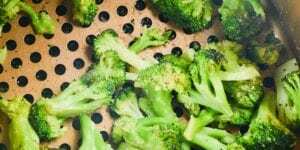 Linked to Weekend Potluck– a great source for tons of Thanksgiving recipes! 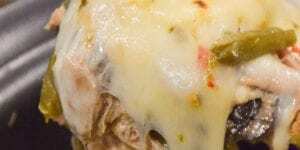 Previous Post: « 26 Appetizer and Dip Recipes that cRock! What’s the final consistency supposed to be? Mine is kind of pudding like. Seems like it should be more firm, but maybe I’m wrong. Flavor seems okay, but it’s pretty mushy. I also did it for the full 4 hours…could maybe use some more time, but edges are definitely burning. Hi~ I just wanted to let you know that I doubled the recipe and it turned out okay. 🙂 I was afraid to double it but since I didn’t have enough space to make two batches, I decided to take my chances. I put it in a six quart oval crock pot and cooked it on high for about 3.5 – 4 hours (I can’t remember the exact time because I left it in the crock pot even after it was done). It turned out great. Everyone loved it. Thank you for the recipe. Was wondering if I could use cornmeal in place of the muffin mix? I bought according to a different recipe but decided a crock would be more sufficient. All ingredients are the same except that one. Thanks! Can you make this in the oven as well? My tried and true oven recipe can be found here: http://goodenessgracious.com/2013/01/corn-casserole.html or you could try baking this one at 350 for 30 minutes or until set. If you double the recipe, will it need to cook in the crock pot longer? I would not recommend doubling it in the same crock. I would instead make two batches in separate slow cookers. I would be concerned that doubling a batch in a single crock pot would make it difficult for the middle to set. Enjoy! Hi Amanda! This is the recipe I will be using this Thanksgiving too. I have not tried it with canned corn in the crock pot but I have in the oven version. Just make sure and drain your corn. There is no stirring in the crock pot because you are essentially baking it. You may want to occasionally turn your crock to help it bake more evenly and watch it closely when it gets close to being done. enjoy! Not a dumb question at all Jennifer! It will be golden on the edges and “set” in the middle. You can use a toothpick to test the center if you aren’t sure. If it comes out pretty much clean, it is done.